This post is provided by App Dev Manager Anant Dimri who shares some helpful Q/A around .NET Core patching strategy. Framework-dependent deployment. As the name implies, framework-dependent deployment (FDD) relies on the presence of a shared system-wide version of .NET Core on the target system. Check out this quick tip on unlocking the new features of C# 7.1 from Premier Developer consultant Ben Williams. 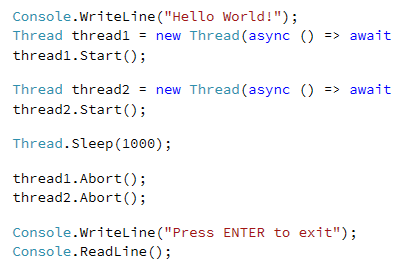 Ever try to use async/await in your Main method of a .NET app? You couldn’t before, but now you can. I just posted a quick tip about enabling this by turning on C# 7.1 features in Visual Studio (they are not enabled by default). In this post, Senior App Dev Manager Marcus Fernandez sets up a blog using Miniblog.Core and Azure in just a few simple steps. Miniblog.Core a project by Mads, on the VS \ .NET team at MS, thank you. I have been exploring dotnet core since it was released and I really like the idea of a more micro-architecture. In Part 2 of this 3 part series, App Dev Manager, Herald Gjura covers upgrading the continuous delivery and Build/Release pipeline in VSTS. In Part 1 of this 3 part series, App Dev Manager, Herald Gjura discusses converting PCL (Portable Class Libraries) to .NET Standard Class Libraries. I have been working for this client for quite a few years and had advised them to break down some of their key business functionality and features and distribute them as NuGet packages.